For many, CSR (corporate social responsibility) has been an extracurricular activity, almost cosmetic in the way it sits outside the realm of real business. However, companies such as Economic Development Innovations Singapore (EDIS) are exceptions, given the way it manages its business – which is collaborative, sustained and in-depth. EDIS is an international economic development company which undertakes the development and management of integrated industrial and urban areas. Leveraging on its experience in Singapore, EDIS provides strategic advice to other countries. Innate to its business is the need for a long-term, strategic view, flexibility, and a nimble attitude, which it applies to CSR. EDIS Cares is the primary CSR initiative of EDIS to give back to the Singapore community. This initiative creates opportunities for children from low-income families to reach their potential through special programmes designed to inspire and build self-confidence as well as identify and address learning challenges. From the onset, EDIS Cares adopted a non-traditional CSR model, looking to understand the basic needs of beneficiaries, co-runs programmes with community partners and recruits volunteers from outside the company. When EDIS Cares first started in August 2013, it searched for community partners who knew the ground and were willing to consider a long-term partnership. Together with its partners, pilot programmes were developed that have consistently been reviewed and improved through feedback from beneficiaries. EDIS Cares has reached more than 200 children with the help of over 140 volunteers and 17 partner corporations since 2014. 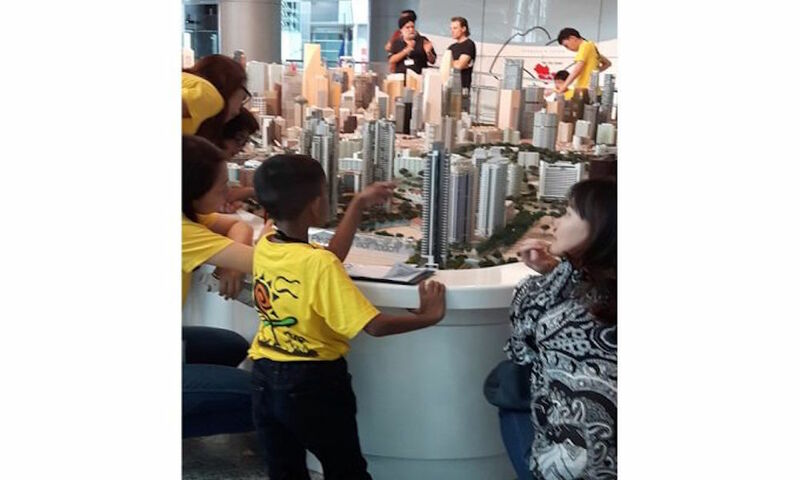 One such partnership was with Changi Airport Group (CAG) on iShine, a thematic, hands-on exploratory learning programme that seeks to uncover children’s hidden talents and nurture new interests. For the iShine theme, When I Grow Up, EDIS Cares worked with CAG to take children to see the Changi Nursery, ride a fire engine and experience being scanned and frisked at the check-in gate. For this programme, CAG invited its service provider, Certis Cisco’s Service Operations’ executives to teach the children about personal grooming. Experiences like this stay in the minds of children and expose them to goals they can work towards. EDIS Cares also believes in the importance of long-term relationships built through sustained volunteering. EDIS Cares actively engages volunteers and corporations outside the company to make a difference. Early Learning Programme (ELP) is an intervention programme for six to seven-year-olds who have not yet attained the literacy and numeracy levels for their age group. Every Saturday, trained volunteers teach the children on a maximum ratio of one volunteer to two children, using an in-house curriculum designed to also help children with learning difficulties. The children benefit from the regular presence of volunteers who not only teach them, but also serve as role-models. The children’s progress is then monitored through baseline, mid- and year-end tests and shared with their parents. Specialist evaluations are sponsored for children suspected of learning difficulties, and follow-ups are made to ensure the children are placed in the right support programmes. Much more can be done when a more strategic approach is taken towards corporate giving. By turning successful business strategies to giving, businesses have the ability to make lasting improvements in the lives of the disadvantaged in Singapore. Interested volunteers can visit http://volunteer.edis.sg/ to register with EDIS Cares and donations can be made on Giving.sg. EDIS is a member of Company of Good and runs a fund administered by Company of Good Outreach Partner – Community Foundation of Singapore. The writer is from the National Volunteer & Philanthropy Centre. This article was contributed by NVPC as part of a series of stories on sustained giving.